I’m not sure what’s more fun, the name or the cookie! This roll and drop cookie is pretty easy to make with only 7 basic ingredients that you are likely to have in your pantry on any given night: flour, sugar, butter, baking powder, salt, cinnamon, eggs. 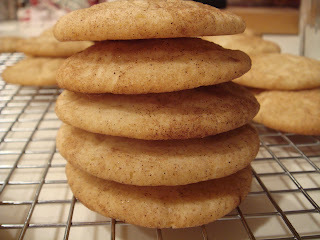 I love the recipe in Martha Stewart's Cookies book, but I can't seem to find it online. This one is close but the one I used has 1 cup of butter (2 sticks) instead of the shortening and butter in this recipe. The recipes are so similar and I think you could substitute the 1/2 cup of shortening with butter for a total of 1 cup ( 2 sticks) of butter. 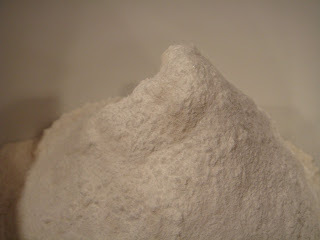 Start with your dries- sifted into a beautiful mountain! 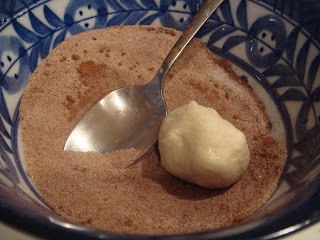 Soften your butter in the microwave for a few seconds and cream that with the sugar in your mixer. Add the eggs and once that’s mixed, you add in the dries. It’s that easy and everything blends well into a homogenous dough. 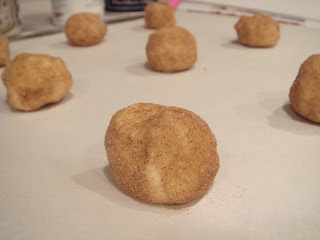 Roll a little ball by hand and then roll it until completely covered with cinnamon and sugar. This recipe has you line your cookie sheets with parchment paper- which results in an easy clean up. I used the same parchment liner for multiple batches without any problems. 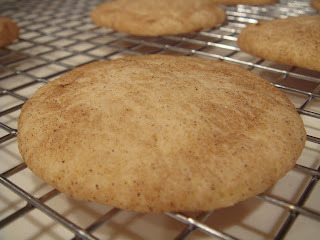 And bake until edges are golden- you can see the cookies don't get very brown. These cookies really spread out and get crackly on the top so be sure to leave enough space in between. I baked in batches of 9 per sheet. They come off the parchment paper very easily- so no fuss there. 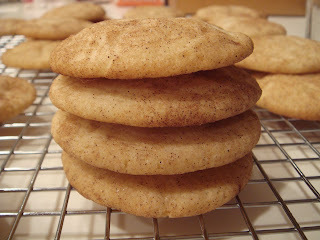 And the result is light and buttery cookies with a bit of cinnamon. This delicate and simple flavor is perfect with a glass of milk or cup of tea! The name is fun isn't it? There are conflicting stories on wikipedia about the origin of the name. I'll have to try this recipe. Mollie loves to help make cookies, but we always have to substitute pasturized egg whites for whole eggs so she can taste the dough. Wonder how they will turn out? On another note... do you have any good recipes for peanut butter cookies? Mine have been turning out too crunchy. Hmm, that is a great comment. Have you tried pasteurized whole eggs? They are pasteurized in the shell. 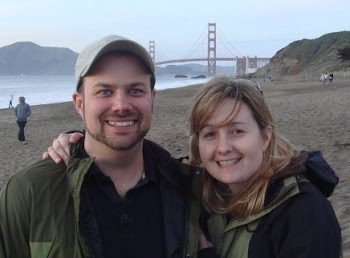 We'll write food science Friday about eggs, pasteurized and not etc.